Dog lovers, get ready. Prepare to replace Old Yeller, Cujo, White Dog or whichever other preferred dog film you have on the top of your list, because a new canine feature is coming to a theatre near you, and it’s fantastic. 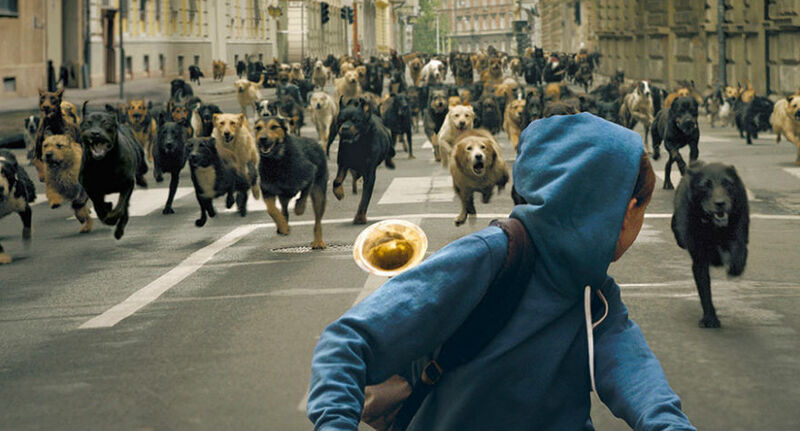 Kornél Mundruczó’s White God is a mixed breed of genres, much like the heroic pooch at the centre of its story, combining the exhilaration one gets from adventure, melodrama, horror, and revenge exploitation into two hours of hair-raising entertainment. And if that wasn’t enough, the film manages to be a morality tale on the current state of sociopolitical affairs in Hungary, and a coming-of-age story about one girl’s concept of love. It packs a gamut of ideas and concepts, some of which are stronger than others, and triumphantly succeeds in being a ultra-gratifying cinematic experience. The opening shots kick things off with a bang. Thirteen year old Lily (Zsófia Psotta) is riding her bike around a contemporary Budapest in the middle of an afternoon, the deserted environment sending off major post-apocalyptic vibes; abandoned cars in the middle of the streets, and not a soul in sight. And then: the dogs. Introduced by sonorous trumpets on the score, a pack of two hundred or so dogs stampede towards Lily: relentless, unstoppable, unleashed. Taking no notice of the girl, they knock her down and continue their pursuit. Cut to titles. Now, that’s what I call an opening. After the titles, we jump back to the beginning: Lily will have to stay with her father (Hungarian thesp Sándor Zsótér) while her mother is away for three months. The trouble is, she refuses to be separated from Hagen, a very affectionate and lovable dog she found on the street. When the dad’s nosy neighbour reports Hagen, falsely claiming that he bit her, the dog-catchers come a-knocking, insisting that a fine be paid. Apparently, a Hungarian law requires owners of mixed-breed dogs to pay an extra fine due to the animals’ unpredictable and threatening nature, especially those from the street. When the father refuses to pay the fine, he forcibly separates Lily from Hagen, and abandons the pooch on the street. Thus, White God begins. The narrative becomes a forked path: we follow Hagen as he fends for himself, running away from the persistent dog-catchers, and into the mischievous hands of a dogfight trainer who programs the pup into a menacing fighting beast. The second path follows Lily, as she desperately searches for Hagen and starts to cope with the idea that she might never see him again. That’s as far as I’ll go with the plot. Suffice it to say that the twists and turns to follow keep the heart racing in overdrive, and one critical juncture redefines the entire film to such a high degree, it practically begs the audience to rawr in approval, punch the air, and celebrate the major turn of events. In the recent interview I had with Mr. Mundruczo (read it here), he was very candid about the fact that White God presents a new kind of cinematic language for him. While this may not be felt by audiences unfamiliar with his earlier work White God is undoubtedly his most internationally acclaimed film to date), there is an undeniable sense that the man is as well-versed in cinema as language, constructing scenes that have tremendous power. When Lily tells Hagen to stay put during her music class, for example, the camera switches to Hagen’s POV a handful of times, instilling a sense of momentum and suspense into an otherwise basic scene of a master telling her pet to behave. Then, of course, there’s the genius casting of Hagen. The stars aligned for Mundruczó and his animal trainer, Teresa Miller, because the two dogs they found to portray Hagen (Bodie and Luke) give an uncanny performance. That’s right: performance. Scenes of Hagen trying to cross the street in the middle of heavy traffic, the brutality of his training, that heart-stopping finale, among others, should sweep audiences off their feet regardless of whether they’re dog lovers or not, because the personality and emotion evoked by the dog(s) throughout the entire picture is unbelievable. There’s that question, of course, of whether White God will only truly work for people who have a natural affinity towards dogs. It’s a valid question that only time will answer correctly, but it certainly feels wrong to classify it as “just another film about dogs.” While Lily’s narrative isn’t as compelling as Hagen’s, there is an indelible sense of the allegory Mundruczó is weaving. Marcell Rév’s cinematography meanders between light blue shades and stark darkness to effectively evoke a broken Budapest. The writing, while unvarnished in spots, succinctly squeezes out all the prejudices and malevolent characteristics from the everyday of adult human routine. How Mundruczó upends this to his advantage, turning the story into a symbolic call-to-arms, needs to be seen. White God is absolutely an insta-classic dog film, but it’s also superbly crafted genre cinema, and a canine fairytale that’s sure to sweep audiences off their feet. 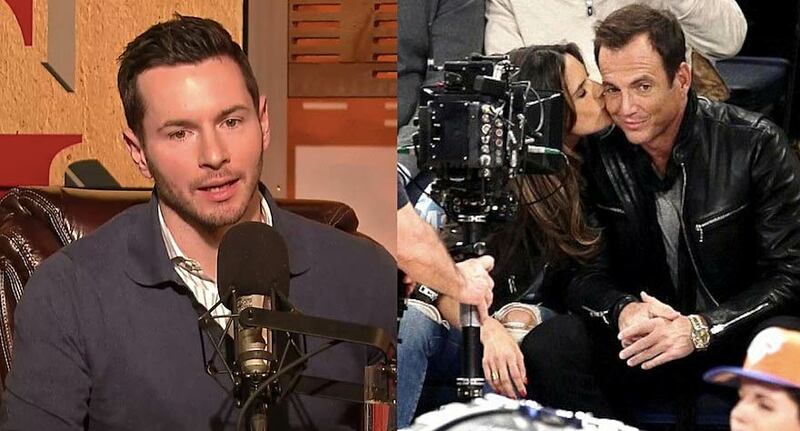 NBA star may have revealed the title for the upcoming TMNT 2 film, don't tell Michael Bay.